In a bid to be socially responsible, the AAI has undertaken a number of CSR and welfare initiatives over the span of 2017. Here, we take a look at the details of their programmes. 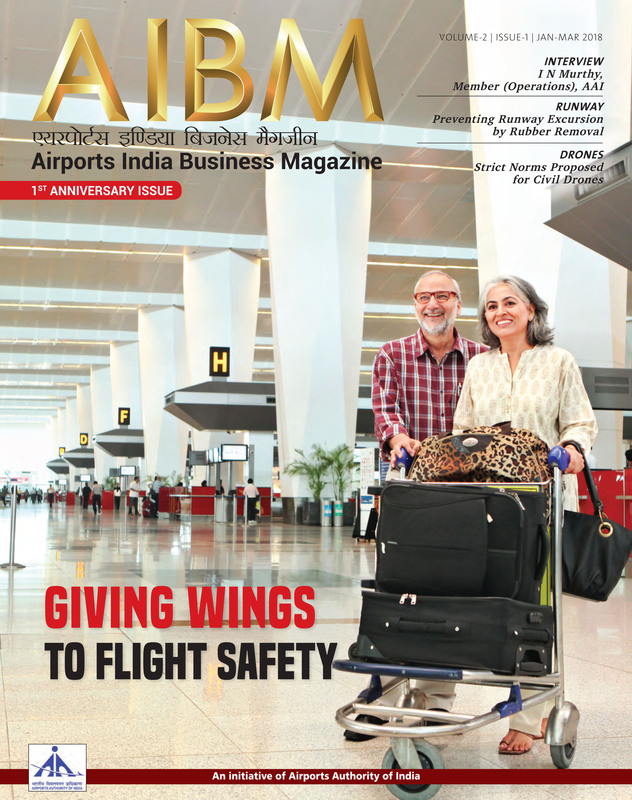 Being a socially responsible enterprise, Airports Authority of India (AAI) is committed to serve the society and is making efforts to enhance the quality of life of the people from underprivileged sections of the society, especially those residing near its airports. The AAI is continuously exploring the opportunities where it can serve the society and is gradually increasing its expenditure on Corporate Social Responsibility and welfare activities. For their various CSR and welfare activities, the AAI has spent INR 601.9 million during FY 2016-17. Here we look at the details of the various activities undertaken by the AAI. 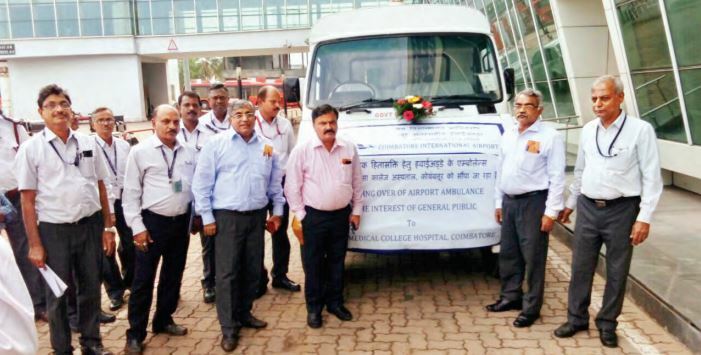 AAI has provided an ambulance with Advanced Life Support System (ALS) to the Primary Health Centre at Longding District of Arunachal Pradesh with an objective of strengthening the health services in the remote north-east region. As per estimates, more than 10,000 children in India are born with congenital hearing loss and require cochlear implant. In view of the fact that it is very difficult for the underprivileged people to meet the expenses for cochlear implant surgery for their children, AAI signed a Memorandum of Understanding (MoU) with Artificial Limbs Manufacturing Corporation Of India (ALIMCO) on March 17, 2017 under which it agreed to support 15 under-privileged children for conducting cochlear implant surgeries, which have been successfully completed. Furthermore, the AAI has decided to sponsor 100 underprivileged children in the current financial year 2017-18 for cochlear implant surgeries to under-privileged children by providing financial support of INR 66.9 million to ALIMCO and has entered an MoU with them on September 4, 2017 in this regard. The AAI has provided financial support to a number of hospitals. The first being Sri Venkateswara Institute of Research and Rehabilitation for the Disabled (VIRRD), a charitable hospital in Dwaraka, Tirumala, Andhra Pradesh, for procuring additional equipments to provide high quality orthopedic service to the poorer sections of society. The second and third being two more hospitals in Andhra Pradesh – Maharaja District Hospital, Vizianagaram and Maharani Hospital (Gosha Hospital), Vizianagaram – for procuring medical equipments for effective functioning of these hospitals and to render better services to the patients. Considering that BRD Government Hospital in Gorakhpur, Uttar Pradesh is visited by large number of patients and many camp outside the hospital failing to secure a bed, AAI, in collaboration with the hospital, is constructing 108 bedded shelter homes in the hospital to provide shelters to the patients and their relatives. 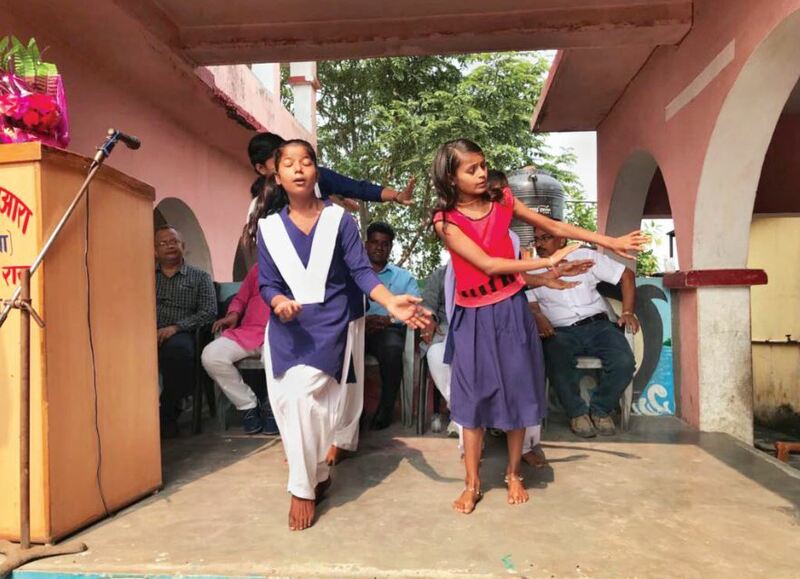 The AAI has since 2014-15, in co-ordination with the Ministry of Human Resource Development (MHRD), under the Swachh Vidyalaya initiative, constructed more than 1,500 toilets in approximately 800 government schools, thereby benefitting more than 100,000 under-privileged students studying there. Till March 31, 2017, more than INR 263.6 million has been spent on the construction of toilets including INR 35.5 million in FY 2016-17. In an effort towards fulfilling its responsibility towards cleanliness and contributing to the government’s flagship campaign Swachh Bharat Abhiyan, community bio-toilets were constructed by AAI at Phoolpur, Allahabad. These bio-toilets reduce solid human waste by 90 percent and convert it into nutrient rich compost. The Government of India is taking active interest in cleaning the water of Ganga River. A clean Ganga fund has also been set up to collect funds that would be used in various activities relating to the rejuvenation of Ganga River. To boost the collective efforts, AAI contributed INR 200 million to the Clean Ganga Fund. The Solid Waste Management (SWM) programme at Varanasi under the Swachh Bharat Abhiyan aims to put in place a credible mechanised and automated system for solid waste collection and transportation on pilot basis in 14 wards of Varanasi along the banks of Ganga. The AAI extended support towards this SWM project at Varanasi to the tune of INR 50 million. Inspired by the concept of promoting better practices for environment conservation, AAI became the first Public Sector Undertakings (PSU) in India to establish the Paper Recycling Unit to support the cause Government Recycled Office Waste (GROW). Following the success of skill development initiatives in the past, AAI and Construction Industry Development Council (CIDC) signed an MoU for ‘Financial Assistance for Employment Oriented Training and Skill Development Programme’. The AAI has been able to leverage its CSR activities through this initiative to create a bigger impact and help in livelihood promotion of people from remote areas and marginalised sections of the society. This initiative has been further reinforced by including a clause in its General Conditions of Contract which state that 20 percent of the labour force at any stage of construction on projects should be trained, tested and certified. A new school building of Dum Dum Airport Girls’ High School was inaugurated by Dr Guruprasad Mohapatra, Chairman (AAI) at Kolkata on June 22, 2017. The construction of the new school building started in March, 2016 and was completed within a record time. The new school building consists of 16 classrooms and teachers’ room at each floor, headmistress’ office at both the floors, medical room, library, music room, space for mid-day meal, toilet block at each floor, ramp provision and dedicated toilets. Apart from the above, the school also has roof-top solar panels, fire alarm system, CCTV cameras, computers, furniture, etc. Swachh Bharat Abhiyan was launched by Prime Minister Narendra Modi to make the country Open Defecation Free by having adequate arrangements for solid and liquid waste management in all the rural and urban areas by October 2, 2019 coinciding with the 150th birth anniversary of Mahatma Gandhi. The Government of India, on the initiation of the Prime Minister, has set up Swachh Bharat Kosh to achieve the objective of improving cleanliness levels in rural and urban areas, including schools. Towards the goal of this mission, AAI contributed INR 200 million during Financial Year 2016-17. This newly constructed building is a reinforced concrete framed structure with eight dormitories in four blocks. Each dormitory has 12 beds and cupboards and is equipped with a sound system. Proper mattress, bed sheets, pillows with cover and blankets are provided along with power outlets for individual beds. Sufficient numbers of toilets have been provided with ceramic floor and wall tiles. There are four garden areas, which are equipped with chairs. The dining hall extends as an entertainment room with LED TV and a sound system.